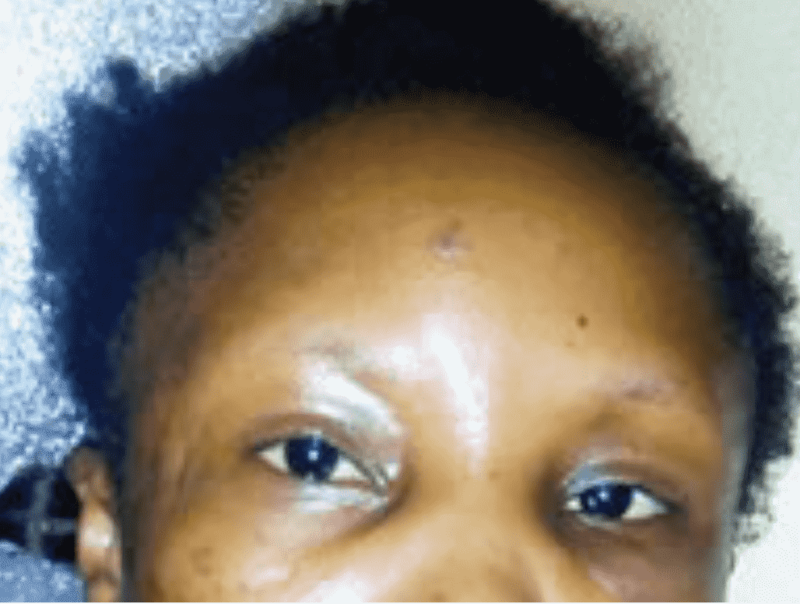 A 30-year-old woman, Oluchukwu Ezemaduka, is currently battling with a damaged jaw at a private hospital, West Care Specialist Hospital in Akowonjo, Lagos, after she was allegedly battered by a riot policeman, Idiahgbe Iyobosa. Iyobosa, who is attached to a bank in the FESTAC Town, was said to have repeatedly hit the woman in the jaw with his service boots until blood gushed out. Oluchukwu is the friend and roommate of Iyobosa’s girlfriend, Maryjane Anyagwa. The friends live on Awoyemi Street, off Coker Road, Ejigbo. about 9pm, with a view to passing the night at her place, but met only Oluchukwu at home. He was said to have got enraged and resorted to the assault as the victim told him that she didn’t know Anyagwa’s whereabouts. Oluchukwu, who managed to speak to Punch from her sick bed, said the policeman ransacked the apartment, looking for his girlfriend. “I was not around that day. When I came back the next morning, my neighbours told me that my boyfriend came to beat up my friend because he was looking for me. He thought she deliberately refused to disclose where I was.“He usually assault me too. Most times, he would not notify me that he would pass the night in my place. He would threaten to deal with me if I report him to the authorities or quit the relationship. I was afraid.“We started dating each other about a year ago. I later knew that he is married with two kids. The wife had warned me to stay away from her husband.”An eyewitness and neighbour, Henry Okafor, said Iyobosa also attacked him that day when he cautioned him. “It was a serious injury and she will undergo two surgeries, according to her doctor. The doctor said she needed to recuperate a little bit before he could carry out the surgeries. The lower jaw was broken. We were told that she would no longer be able to chew if she didn’t undergo the surgeries, which will cost about N700,000. The policeman’s relatives have promised to pay the bill.“My daughter is not his girlfriend; she has nothing to do with him at all. Why should he beat someone, whose room he barged into?”It was gathered that the case was reported at the Ejigbo Police Station and Iyobosa was arrested.